Copyright 2004-2013 ネコの魔法使い日記. All rights reserved. 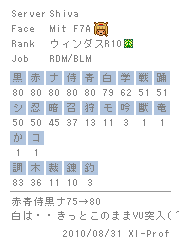 Copyright (C) 2003-2013 SQUARE ENIX CO., LTD. All Rights Reserved.